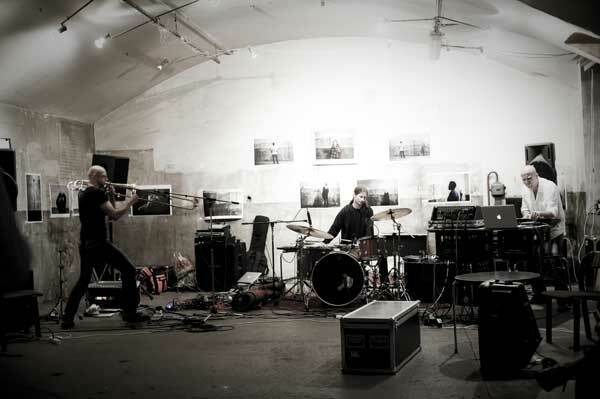 Noisezone is a new avantgarde jazz project that came to life in Basel, Switzerland. 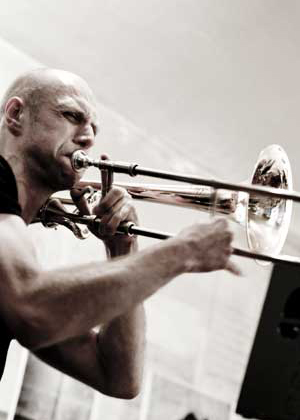 Trio of musicans: Sebastian Smolyn, harnessing a storm of sounds coming from his E-Trombone, his brother Artur, generating vast range of convulsive, electronic noise attacks and Daniel Buess, empowering both with thrilling rythms of his percussion. Those 3 personalities come together within eXplosive improvisation. Searching musical language of their own, they continue to penetrate broad areas of music itself with each performance bringing them closer to its boundaries. As the performance becomes a musical exploration ritual, everyone who dares joining it will be entirely exposed to its physical and spiritual radiation remaining in your body and soul even long afterwards.